The wisdom of experience: As a professional modeler of clothes, etc., Erichsen has acquired a wealth of knowledge about what it takes for clothes to look and feel good. She put her experience to good use developing the prints, washes, and fit of the capsule collection's denim and other pieces. We're expecting a cut above. Decent price point: Priced between $145 and $300, depending on whether you're picking up faux leather jeans or a chambray shirt, this collab won't break the bank. Look good, do good: Did we mention our Freja also has a heart of gold? 10 percent of proceeds from the collection will go to Doctors Without Borders, with which the model has been working. More Freja: She can be seen modeling the goods she helped to create. 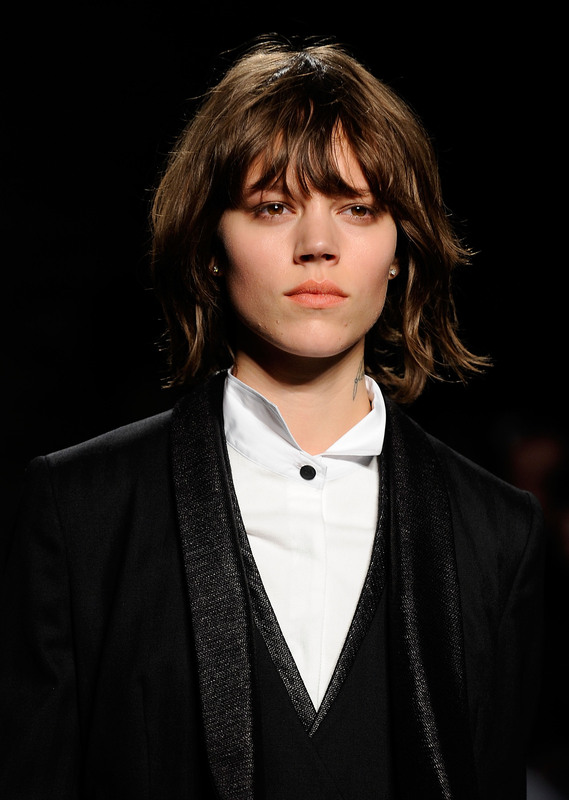 More Freja is always good. Yes, we're obsessed, and expect to be equally obsessed with the wares, which hit Nordstrom in September — but a few short weeks away.